Murder by Gaslight: A Bender Family Album. The Benders were a family of serial killers living in Kansas in the 1870s where they ran a general store and restaurant out of their home. While travelers were eating their meals, the Bender men would hit them from behind with sledgehammers. The bodies were stripped of all valuables then shoved down a trapdoor into the basement for later burial in the yard. They abandoned the house before their acts were discovered, leaving behind the bodies of ten victims. The elders of the Bender family. 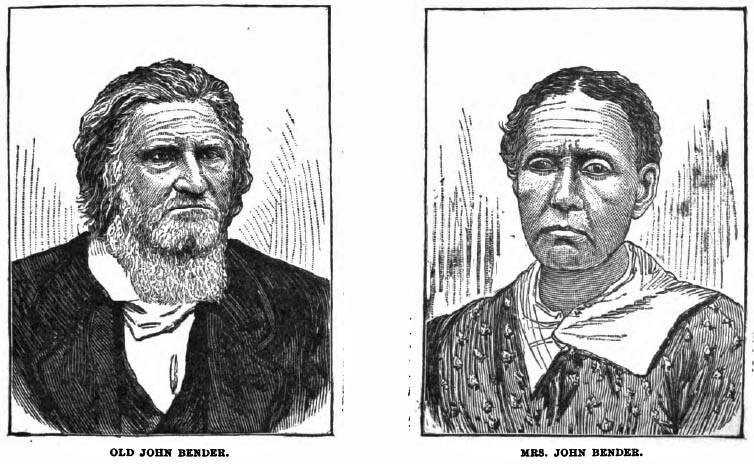 Old John was also known as William Bender, his wife was better known as “Ma” Bender. Thomas and Katie were the other members of the family, but it is unclear exactly how the four were related. Most accounts say that Katie and Thomas were son and daughter of Old John and his wife. Others say Katie was Ma’s daughter and Katie and Thomas, aka John Gebhardt, were husband and wife. 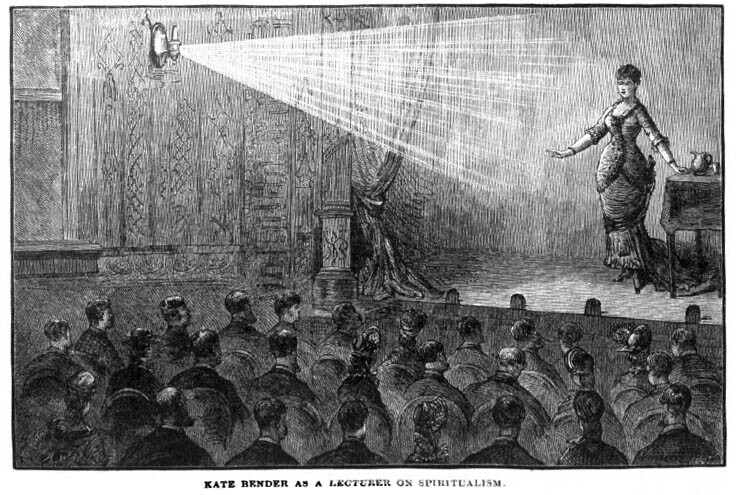 The voluptuous Katie Bender gave lectures on spiritualism. Her newspaper advertisements promising to “heal all sorts of diseases” lured victims to the Benders’ home. 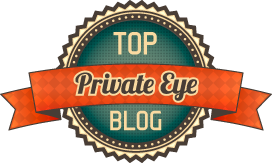 As the victim dined, one of the Bender men would strike him with a sledgehammer from behind a canvas sheet. 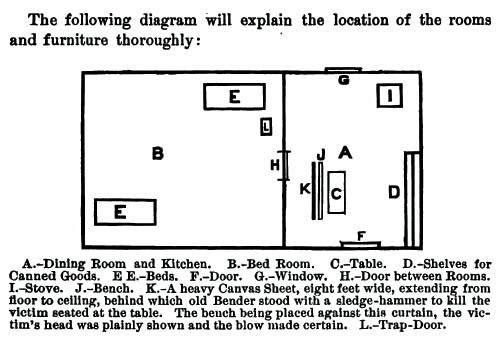 A floor plan of the Bender home, including K-the canvas sheet, and L-the all-important trap-door. 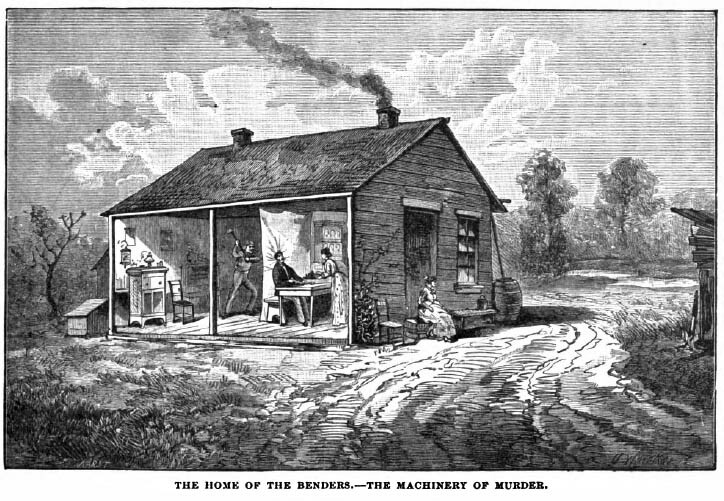 More about the Benders and their murders here: The Bloody Benders. Triplett, Frank. History, romance and philosophy of great American crimes and criminals ; with personal portraits, biographical sketches, legal notes of celebrated ... causes, prevalence and prevention of crime .. Hartford, Conn.: Park Pub. 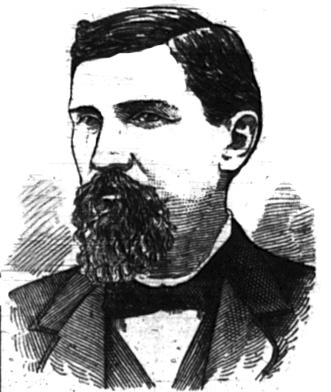 Co., 1885.